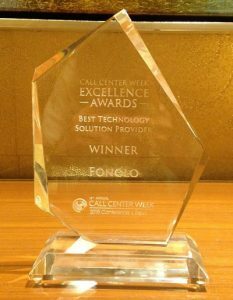 Fonolo is excited to announce it received the Best Technology Solution Provider Award at the 2015 Call Center Week Excellence Awards on June 16, 2015! The 2015 Call Center Week Excellence Awards honor, recognize and promote the most innovative contact center solutions over the past year. The awards are dedicated to honoring superior thinking, creativity and execution across the full spectrum of contact center functions. Fonolo was selected above two other finalists in the category. We are honored that Fonolo has been selected as the recipient of this award, recognized by IQPC’s panel of experts and thought leaders,” said Shai Berger, CEO, Fonolo. 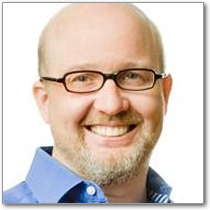 “Our mission at Fonolo is to make it easy for call centers to add features like call-backs, virtual queuing and visual IVR with minimal effort by utilizing cloud-based technology. With the enormous growth in technology, businesses are focusing on improving efficiencies and cultivating the customer experience. 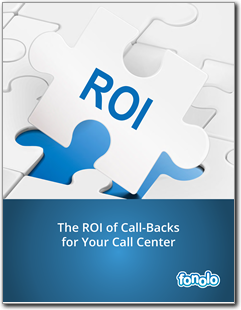 As a pioneer in cloud-based call-back solutions, Fonolo helps call centers improve their customer satisfaction levels and net promoter scores, in a truly cost-effective manner.